Dungeons that are nothing more than a series of rooms containing a random assortment of monsters and treasures that have no real reason for existing are the result of sloppy, lazy design. Original Purpose of the Dungeon: A dungeon designed as a gigantic tomb is going to look and feel completely different to one that was once a grand temple. In either case, the builders construct different kinds of rooms, chambers and corridors based on what they needed the dungeon to do. Who Built the Dungeon: The dungeon’s builder inevitably leaves his mark on the dungeon. From grandiose statues of himself to particular room features the PCs can detect even a long-dead builder’s influence on the dungeon. Current Purpose of the Dungeon: Even if the dungeon was originally conceived as the tomb of an powerful mage, the orc tribe that now lurks within will adapt and change portions of it to suit their needs. Dungeon Inhabitants: The dungeon’s past and present inhabitants leave their mark on the dungeon. They may have altered the original structure, decorated it in distinctive fashions and so on. History of the Dungeon: A dungeon’s history inevitably affects its disposition when the PCs delve within. If an earthquake struck the dungeon, for example, evidence of the damage it inflicted is likely all around. A dungeon’s age also affects the conditions of many of its features. Wooden doors rot, metal portcullises rust and so on. 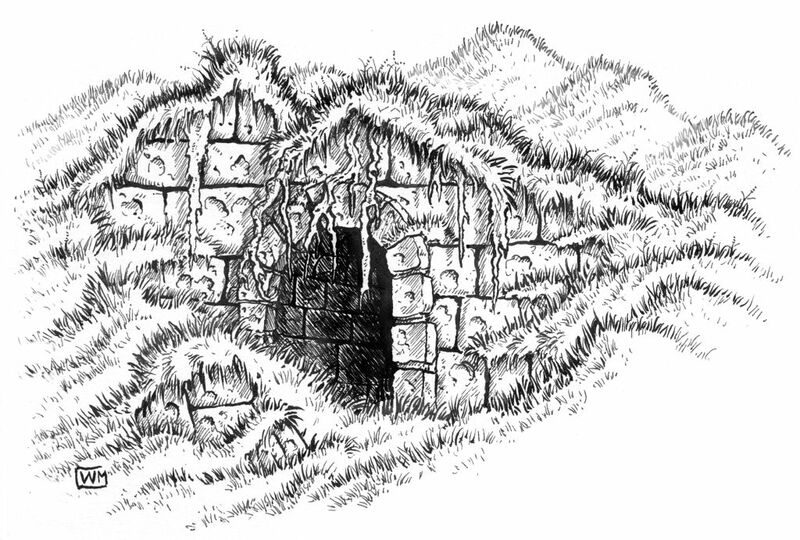 Fame of the Dungeon: Some dungeons become famous (perhaps for the dangers or treasures within); such locations attract more than their fair share of adventurers. Settlements may even spring up nearby to service the many adventurers trying their luck in the dungeon. Upcoming Events: Upcoming events can affect the dungeon. For example, a dungeon hosting a battle of annihilation between duergar and troglodytes will have signs of not just the current conflict but upcoming battles (which might include traps, fortification and so on). An evil mastermind planning to subjugate the surrounding countryside will have many troops (and the equipment and provisions to sustain them) in his dungeon. Well written, and a good read. I am currently working on some concepts for my own personal board/rpg game and there are some good bits of info in here that will help me to flesh out the world that it takes place in. Glad you liked it. Good luck with your world!